Since the very begining of our activity, besides product development and sales, we run several activities to build marketing automation market. It means numerous lectures on trade conferences, hundreds of articles and content published on our blog, spreaded among marketing society by leading trade services in Poland and the rest of the world. All this, in combination with fast growing popularity of marketing automation technology, caused that recently appeared in Poland a new job category created among marketing automation and the SALESmanago. It’s very easy to notice when you go through the popular online job services. Job offers like this are literally everywhere. As a marketer you want to engage into bringing a real value to your company, you want to gain unique data on your current and potential clients and share it all with your coworkers to cooperate with the sales department and get the return on marketing investment – Become a Marketing Automation Specialist! At the most developed markets, people using data to develop marketing and sales processes are seen by companies as the ones who become strategic employees. According to recent research, from these groups of marketers companies most often recruit top managers positions. Marketing automation specialist earn statistically 35% more than a traditional marketer. The specialistic knowledge is highly bonused and the uniqness of developed skills means you’re unbeatable on work market. Functions among marketing automation, because of their strategic significance, are very rarely spread besides the company in terms of outsourcing. Here we list several ideas on gaining the basic knowledge and become such specialist. 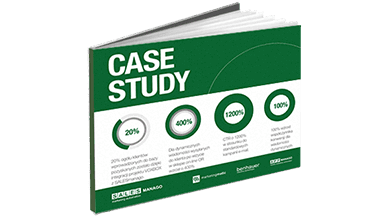 Every week we run 3 proffessional online scholars on the system service, Marketing Automation effectiveness and present Case Studies which perfectly illustrate how to use such system in business. 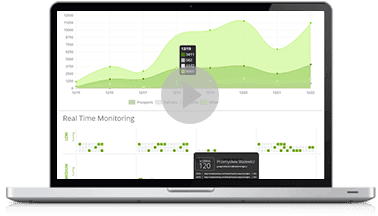 Webinars attendance allow for gaining sufficient knowledge that is enough to use the SALESmanago Marketing Automation system on your own. Is a complete eBooks set on not only thesystem implementation and it’s effectivness, but also marketing trends. Reading tchem you will become not only a Marketing Automation Specialist, but also more aware marketer. Daily articles posted on our blog give you the answears on all the questions on both traditional and automated marketing. Reading them allows for most effective activity held with the system, providing you useful tips every day. 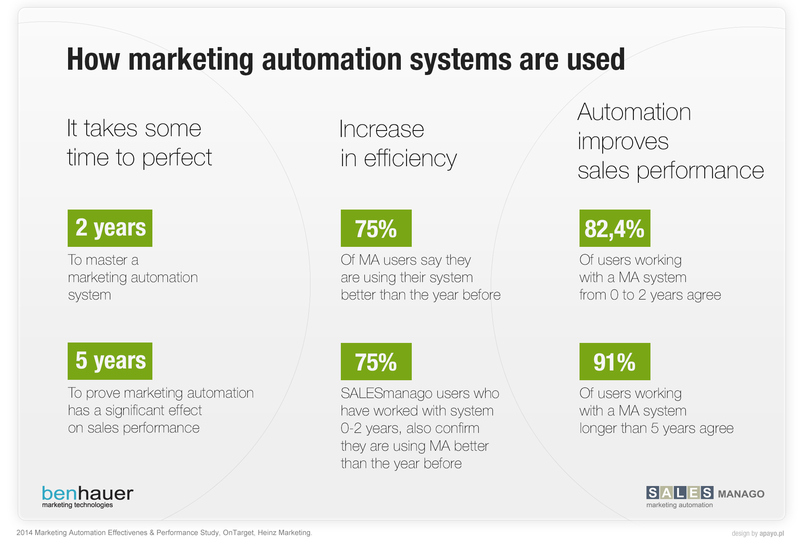 Do you want to increase your skills with SALESmanago Marketing Automation? Are you looking for new solutions and opportunities? Or maybe you just want to explore the system? Start your research with the SALESmanago e-learning platform! Gain this knowledge thanks to our 10-lesson course and 40 comprehensive video tutorials. Sing up to our e-learning platform, complete the course and get your SALESmanago Marketing Automation Specialist Certificate for FREE! Register to our e-learning course, to get unique, very valuable knowledge that will drive you professional career. ATTENTION! NEW OPPORTUNITY to receive the SALESmanago Marketing Automation Professional Certificate! We kindly invite you to take part in our courses and training workshops on the system operation, held by our most experienced experts. Be sure to check job offers at Benhauer, we’re constantly on a lookout for talented, new people to join our company and become SALESmanago specialists.